Every day I say I am done decorating, but then I find another little nook to get my hands on. Fa-la-la-la-la! I do think I am “officially” done and took some more pictures to share with you over the next couple of days. 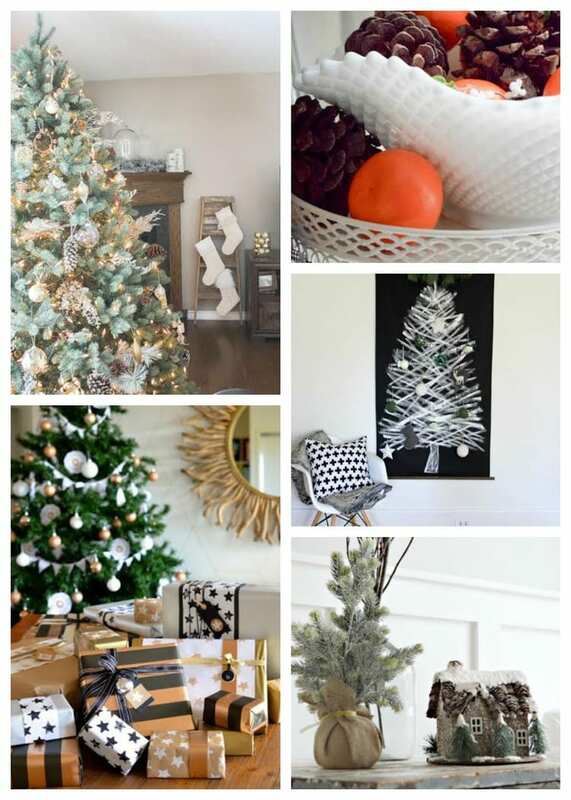 Now that the decor is done, I officially need to get on the ball with my Christmas shopping, so that is next on the agenda. I definitely missed out on Black Friday and Cyber Monday deals- next year I MUST get more organized in time to take advantage of the sales. If you missed yesterday, I started the tour of our Christmas home with the foyer. 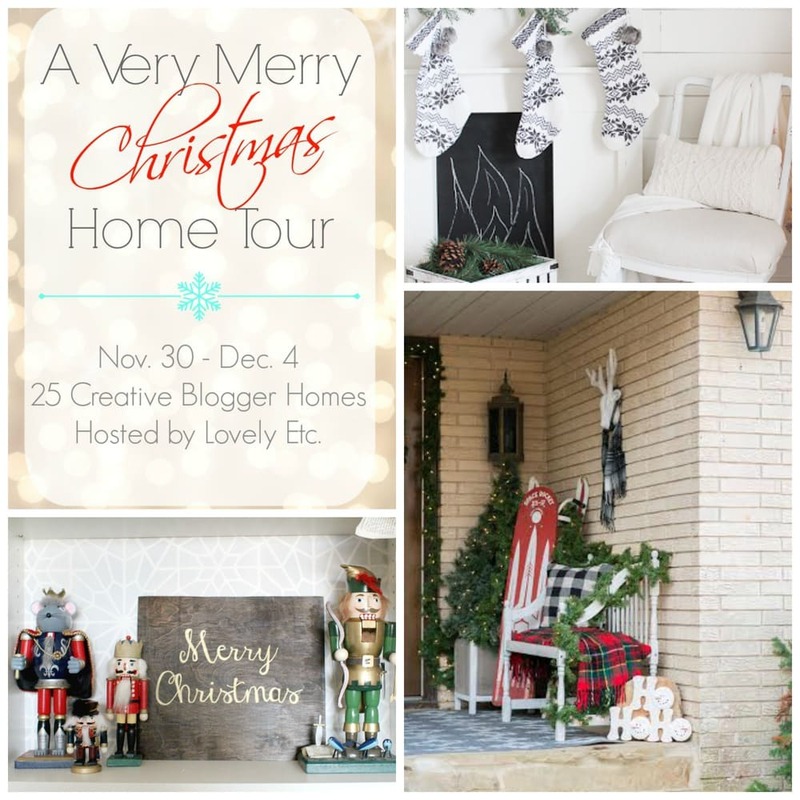 Today I am excited to be linking up as part of the “A Very Merry Christmas Home Tour” along with 25 other blogs AND A $500 GIVEAWAY! 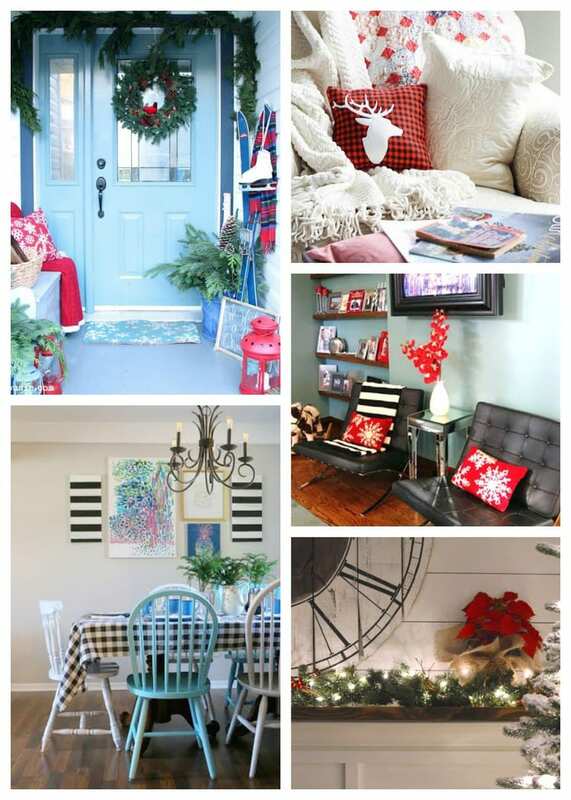 Because the family room is the heart of our home, I thought it would be perfect to share because it is very merry indeed. This is the heart of our home as it is in the center of our ranch floor plan. It’s not a huge room but it fits us comfortably. And apparently it fit a 9 foot tree this year as well. We went BIG and I love how it just fills up the corner of the room. I was so happy to get matching family stockings last year since it was our first Christmas as a family of four. 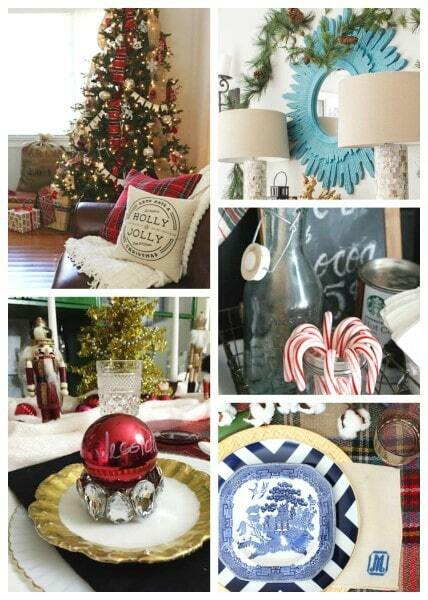 They are from Pottery Barn and I love the classic red and white design. The tree carries the tartan ribbon from the foyer and is loaded up with nutcrackers of all sizes. I even put some full size ones throughout using floral wire. I have always loved the Lindsay Letters art, but couldn’t really justify the price. So this year, I DIY’d a version and I love the way it turned out for around $6. I snagged the Big Sweet’s Moscow Mule mugs. Because they are just so festive! Of course, what you don’t see here is that Sweet P insisted that Bella (our dog) and Bullseye (our Elf) also have stockings hung. What a sweet and silly boy! And here is a final one with Sweet Bella. I am sure she has visions of sugarplums dancing in her head! Thank you for the giveaway, Heather. How nice!! 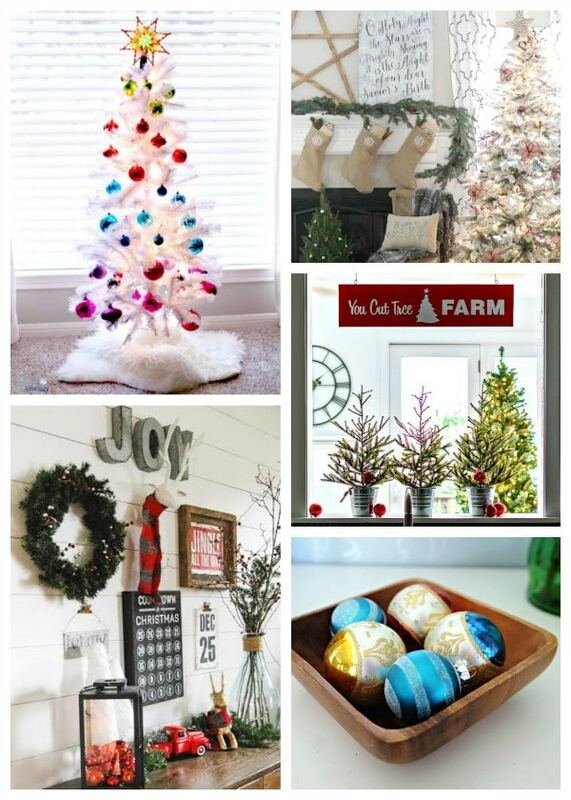 I love your holiday decor, particularly your nutcrackers. Do you have a source for those by chance? WOW!!!! Heather, you always amaze. Love your home tour and all the nutcrackers are great. I really loved how you mixed them with chinoiserie. Loved it all. Pinning and sharing.